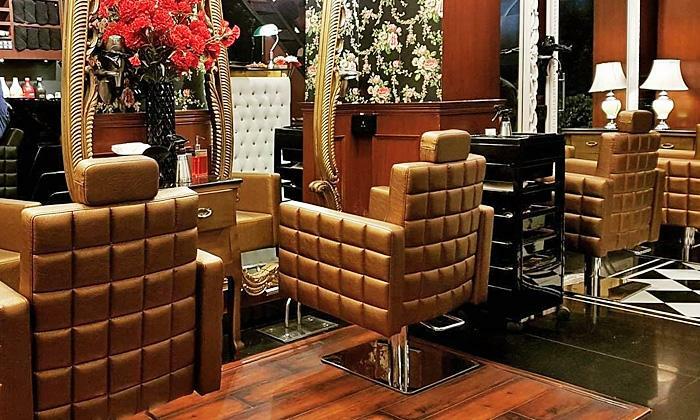 Get the royal treatment as you step into luxury with a visit to Autograph Salon, a unisex salon located in the Galleria market in Gurgaon. The salon offers a range of head-to-toe services to both men and women in a ambiance that spells elegance and opulence. With Victorian chairs, floral wallpaper and Victorian mirrors with intricately carved details, this is an ideal place to relax and rejuvenate yourself. The staff here is professional, skilled and courteous, giving you an experience that will not be forgotten in a hurry. So head here, put up your feet and let the experts work on you, leaving you feeling completely renewed.